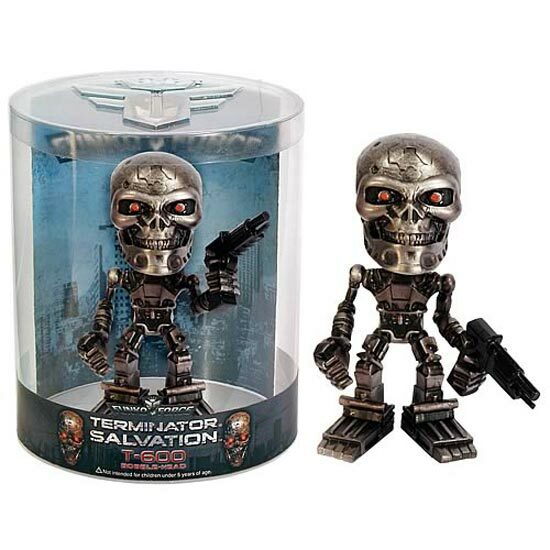 Here is something fun for all the Terminator fans out there, to celebrate the release of the new Terminator Salvation movie, you can now get your hands on one of these fun Terminator Salvation Bobble heads. 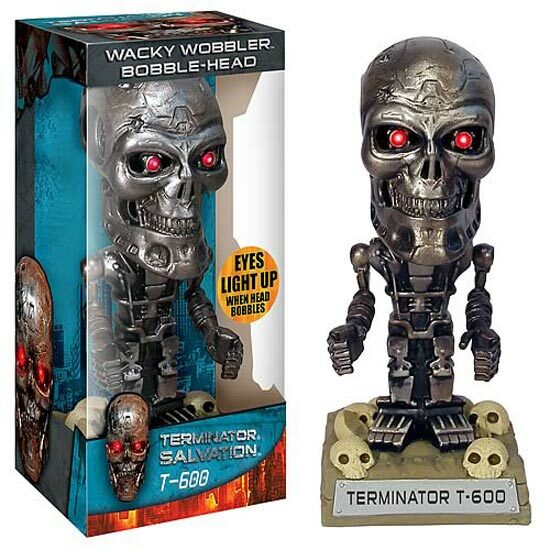 The Terminator Salvation Bobble Heads are bound to look great on your desk, there are two version available of the T-600 Terminator, the first one pictured below has built in LED lights for eyes. If you want one of these fun Terminator Salvation Bobble Heads they are available for $10.99 each from Entertainment Earth.